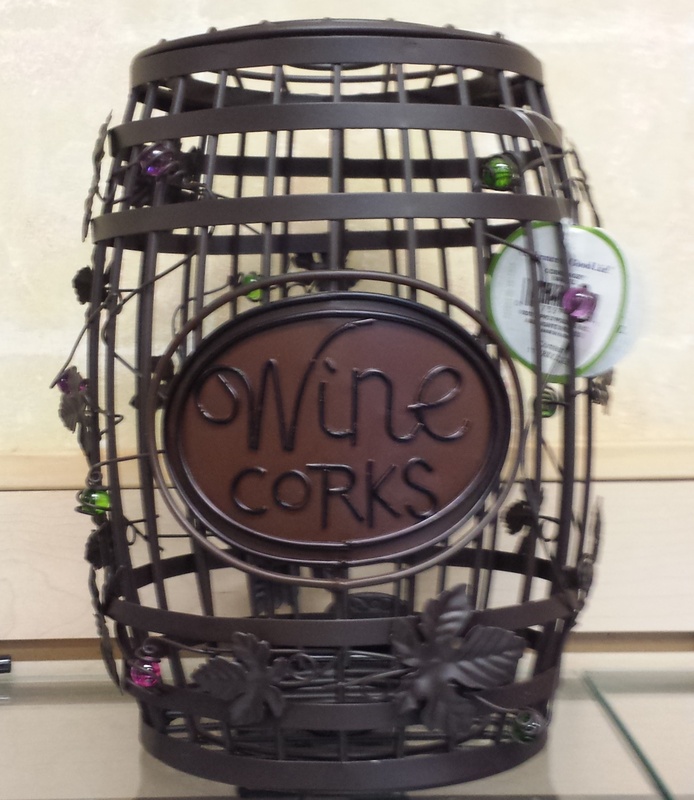 Wine cork cage, Rabbit Wine opener, cork puller, rabbit, bottle opener cork screw Temecula Ca. 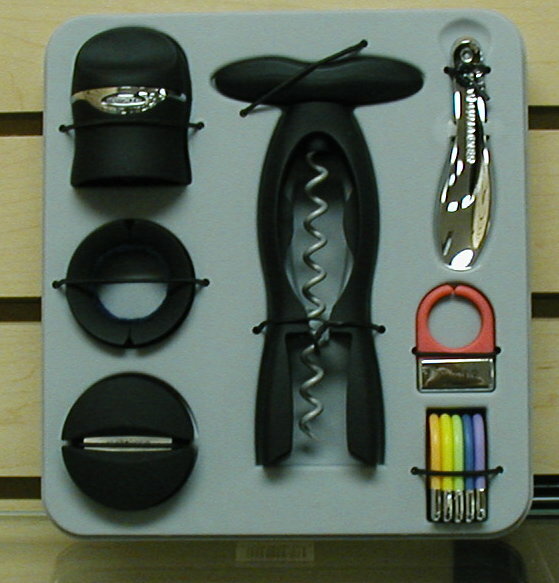 This page contains a cork screw rabbit ear cork screw, opener, puller, air needle cork foil cutter, vacuvin wine saver. 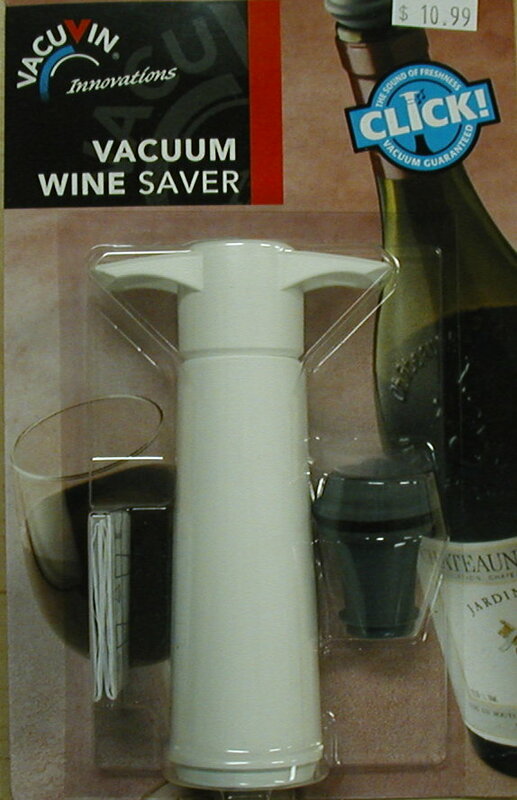 Vaccum wine saver. Once you have tried the rocket you won't want to use anything else! 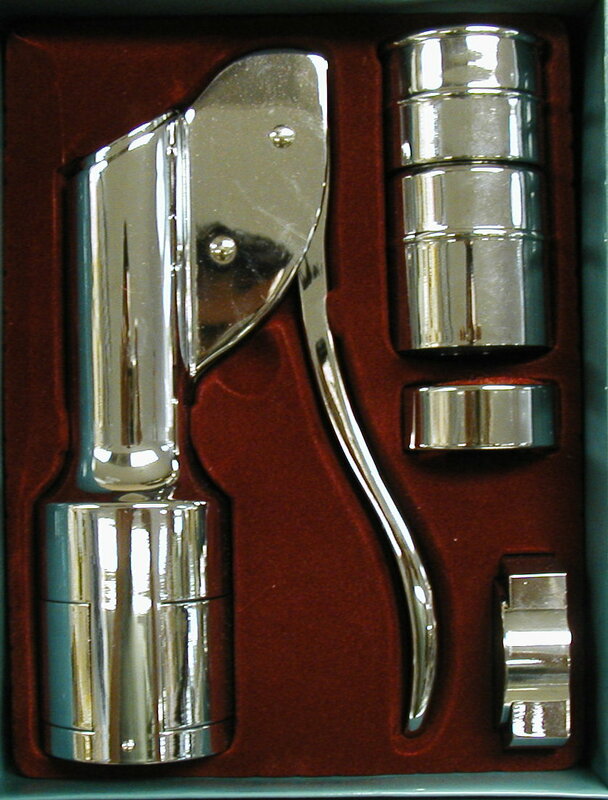 Includes wine air vac, wine collar, and foil cutter. 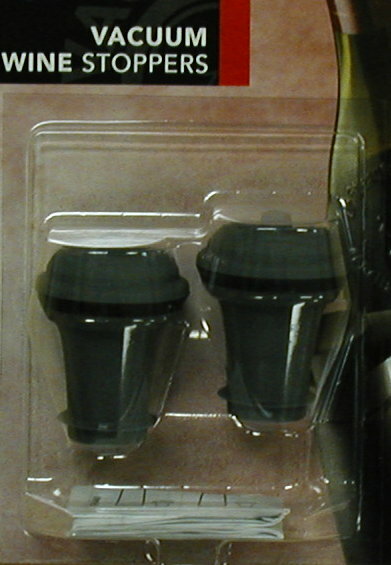 The fastest easiest way to open a bottle of wine! Elegant in their simplicity, the Metrokane Velvet Champagne Pliers solve the tricky business of popping champagne bottles by fitting over the cork to grasp and remove it with ease and safety. 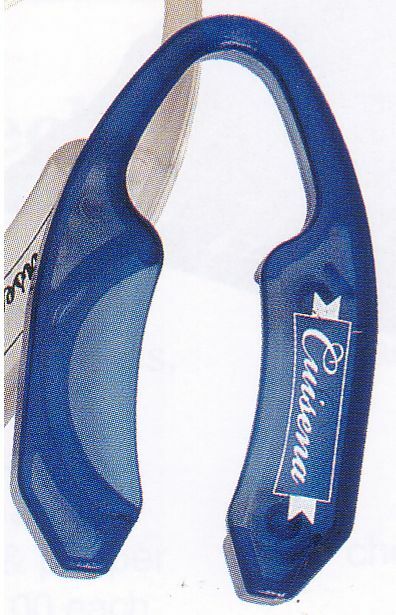 The pliers are made of die-cast metal with highly polished chrome finish on the inner side of the handles and easy-grip velvet texture on the outer side. Measures 5" x 1" x 1". 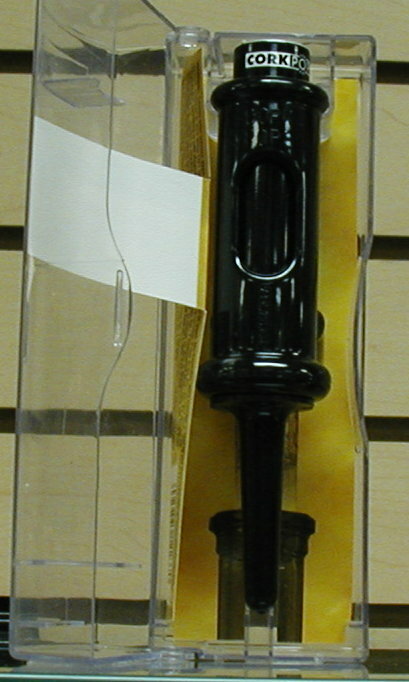 Easy to us wont damage cork safe and effective. In business since 1984 family owned and operated! 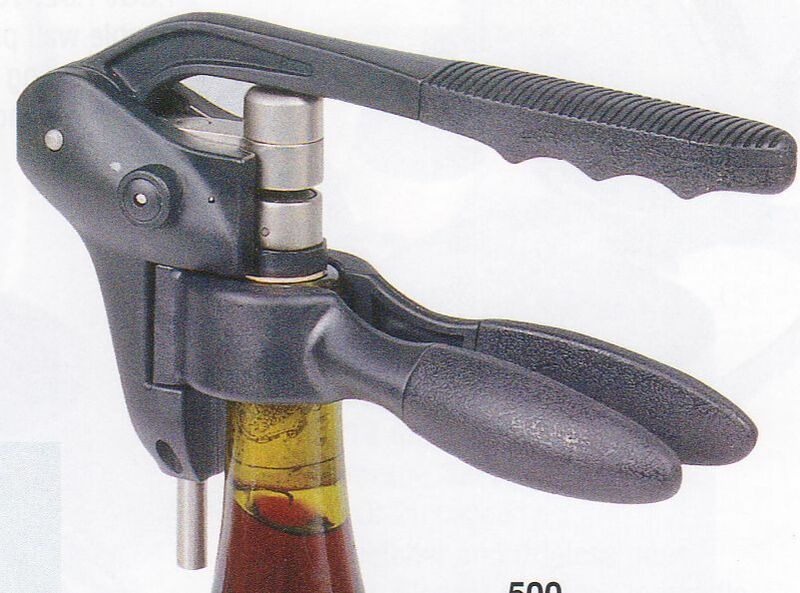 Proud to offer our wine bottle openers.